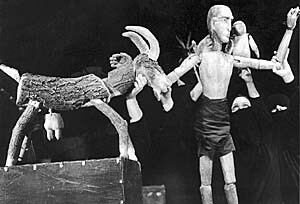 Cooperation with Jana Francová and Antonín Maloň. 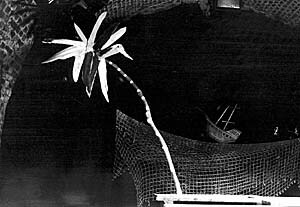 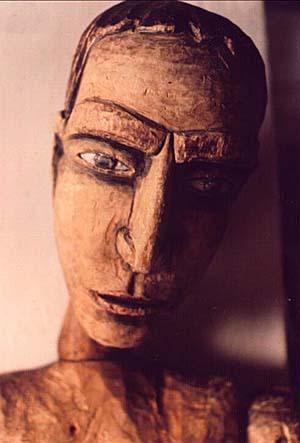 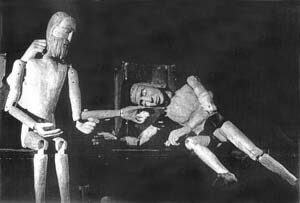 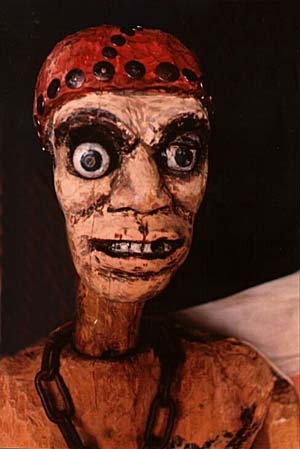 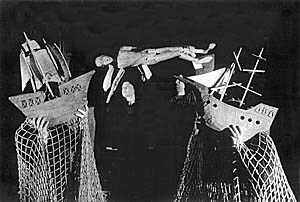 Wooden marionettes using a contrast of various types of wood. 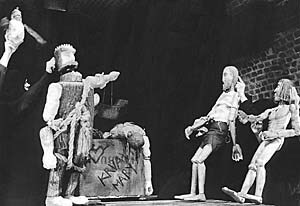 The principle of movement was inspired by Japanese puppet theatre Bunraku.